Special salon in Amsterdam for milonga and tango lovers. Perfect wooden floor, centraly located, easy access from train station (Amsterdam Centraal or Muiderport) tram 9 and 7. Close to Tropen Museum. Free car parking. Professional filmmaker and passionate tango dancer / organizer. 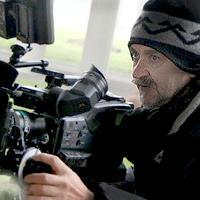 Creator of International Tango Film Festival FILMONGUERO and Milonga Only salon in Amsterdam. Very friendly atmosphere for everybody: maestro dancers as well as beginners.